Traditional English Classic Kitchen? 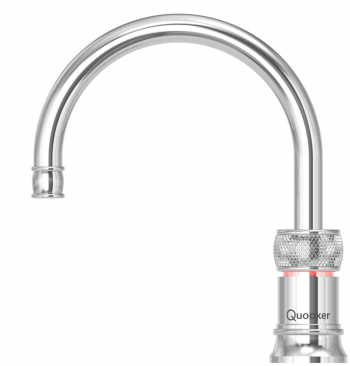 Fear not, Quooker have launched the new Quooker Classic range designed specifically to suit our English Classic Kitchen Range. 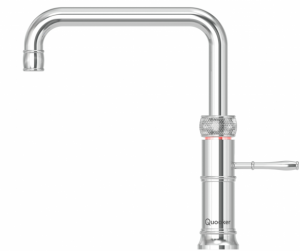 The new classic range is available in both the Fusion & Nordic Tap style. 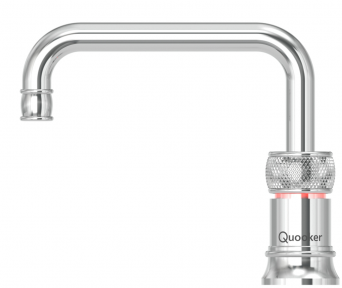 The Quooker tap offers the advantages as the familiar Quooker Taps delivering a fine aerated spray of 100 degrees boiling water, ensuring that there is no risk of scalding or burning. 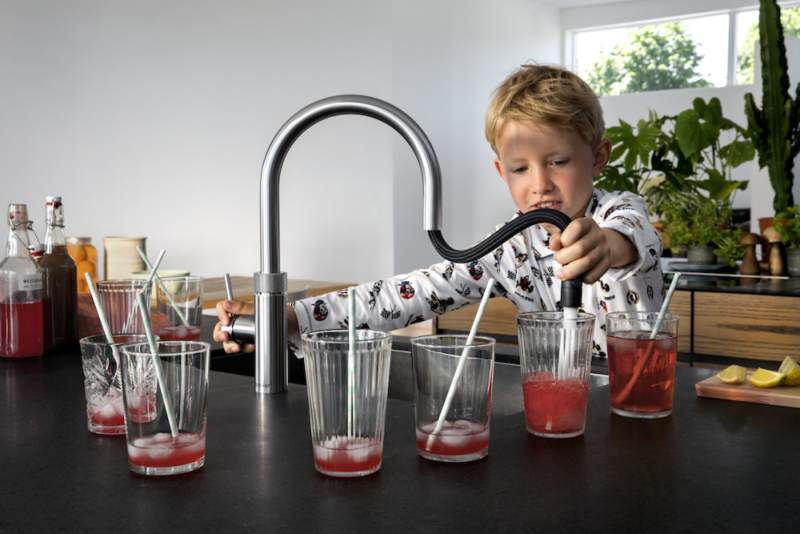 All taps feature a child proof double push turn to activate the boiling water flow including an insulated spout. 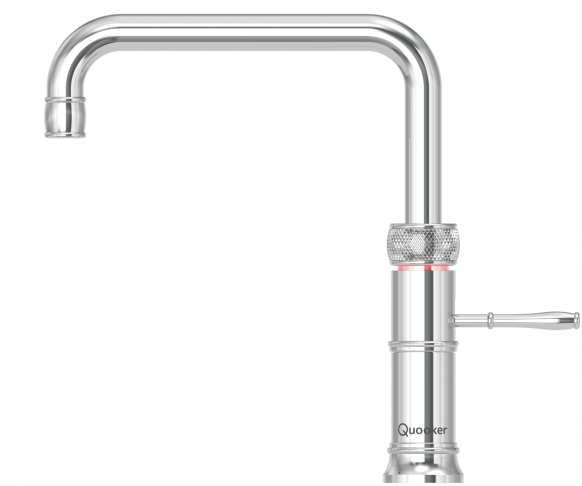 This contemporary appliance is quickly becoming a necessity when we are asked to design a kitchen and by introducing a more traditional styled Quooker Fusion and single Nordic tap, Quooker have been able to introduce the latest technology perfectly suited to our English Classic kitchen Range. A new timeless classic that will look at home in every country style kitchen. The classic range is also available with a cold water filter option. Push and turn just once and a new, cool blue LED light will shine indicating that the water filter is being used. Push twice and turn the ring, and the now familiar red LED safety light will be illuminated. 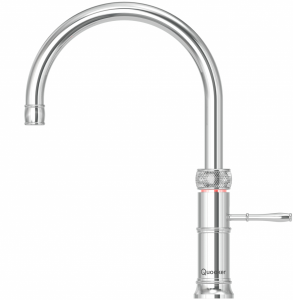 Making you aware that 100°C boiling water is being dispensed.